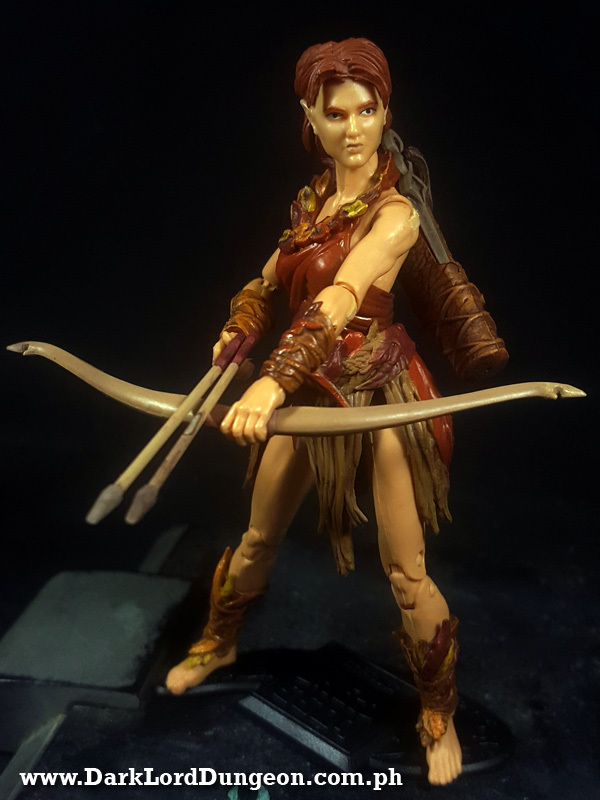 Vitruvian HACKS Aiyana Elven Archer - Autumn Guard - Action Figure's blister pack reads:"Historical Documentation: All elves are trained warriors; most of them fight only in self-defense or to protect their kinfolk. 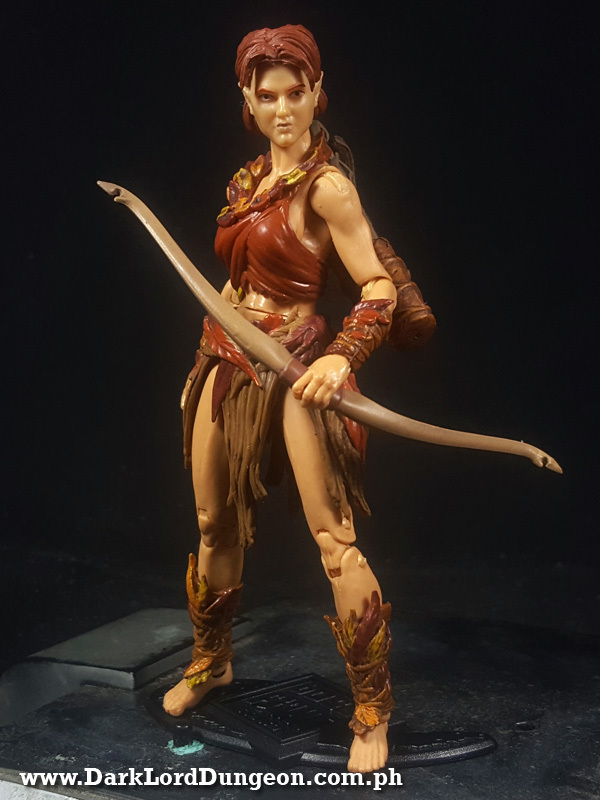 The Elven army is officially split into two branches:Autumn and Spring. The Autumn branch are the minority, but as the offensive fighters are more commonly seen by outsiders. 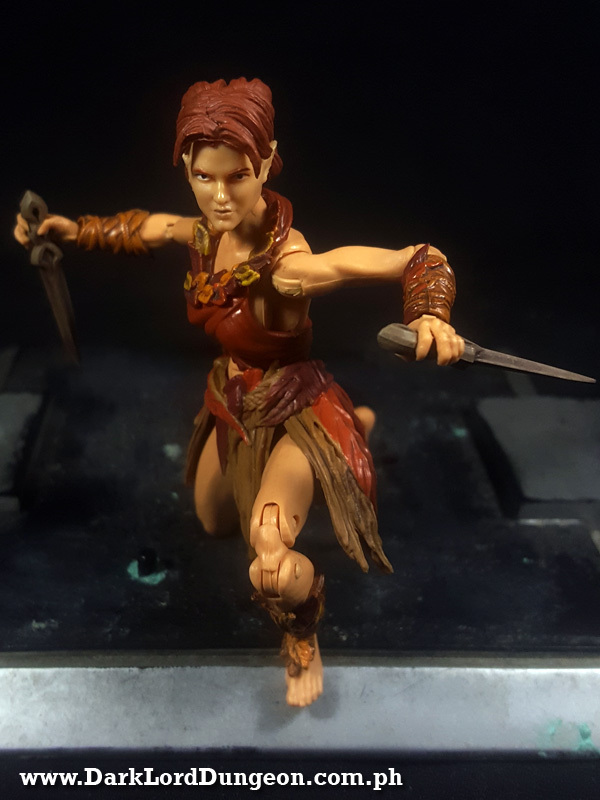 The Autumn branch proactively seek out and eliminate potential threats to their realm. Working on information relayed by their scouts, bands of Autumn Elves hunt down opposing warlords and thieves with extreme prejudice. 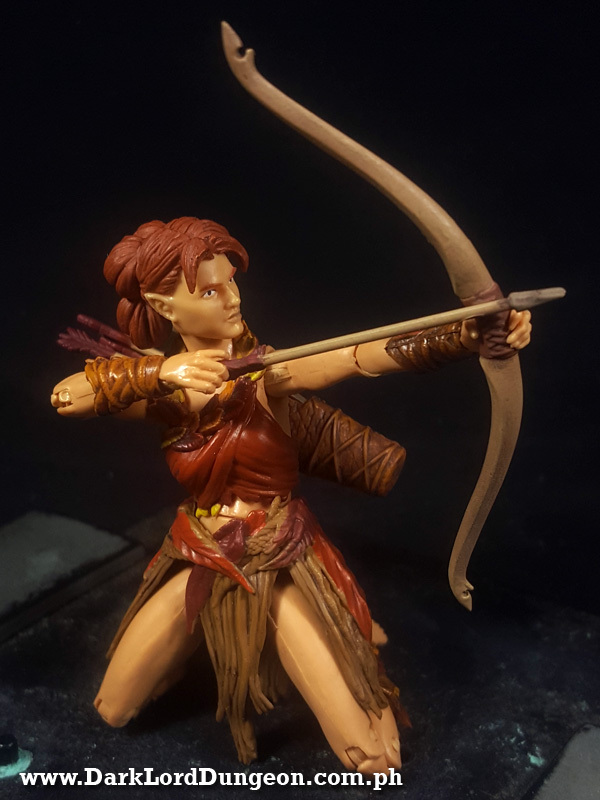 Aiyana is leader of such a band, a talented archer and field commander, she rarely speaks except in relation to the task at hand. 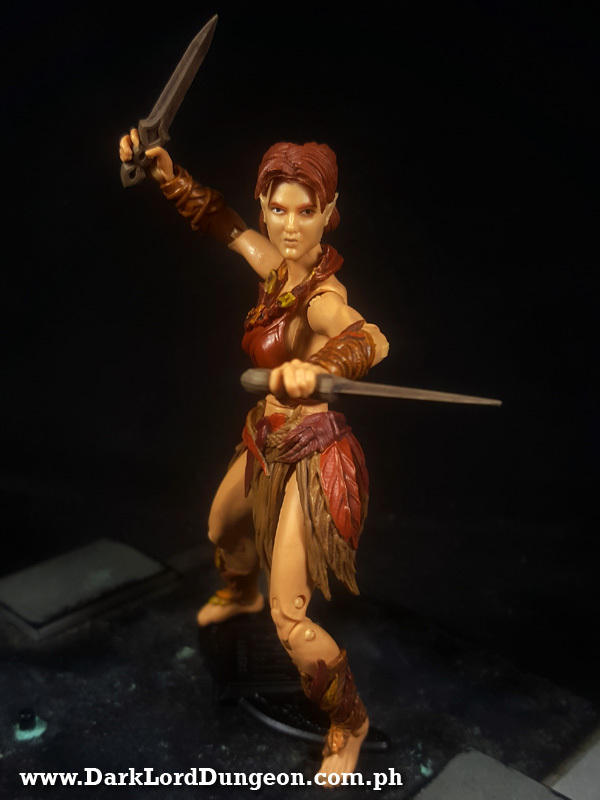 Her handpicked warrior have gained a fearsome reputation and even the smarter Orc leaders know to keep well away from them." 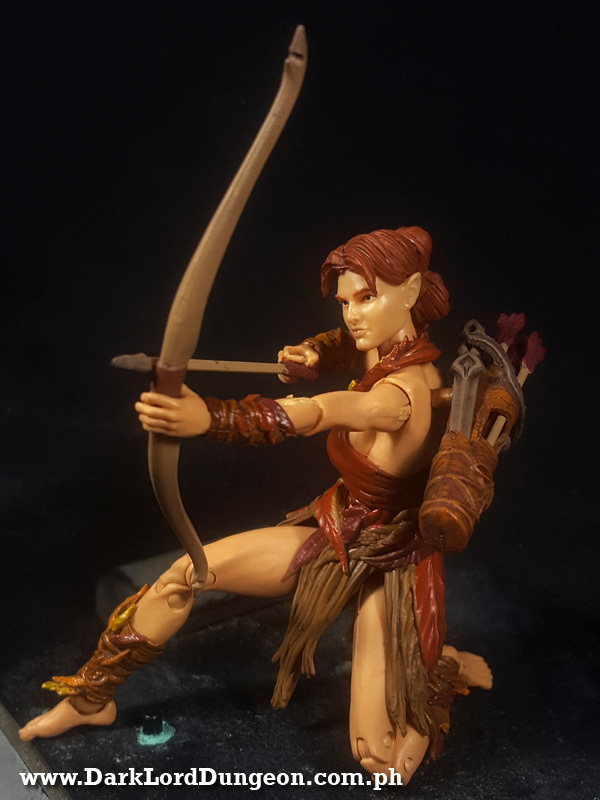 There is also a Temporal Log from Vitruvian HACKS that reads "With the land in such turmoil, it seems difficult to use the difference between an offensive attack and a defensive action. The elves preach kindness and peace but their actions do not always reflect this. 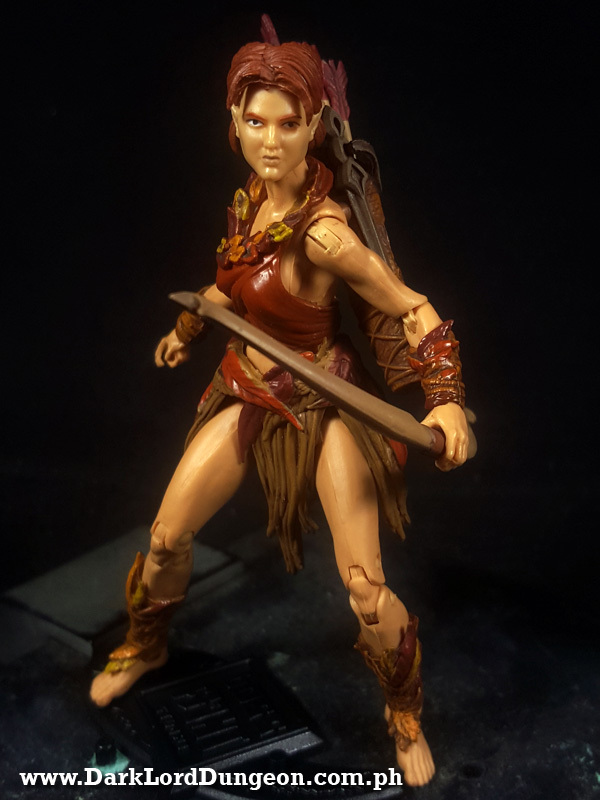 The Autumn Elves are quick to attack and never take prisoners. Our crew met many people of many races on this stop and have still not been able to determine who is on the side of right." A really cool quiver where you can store her daggers. 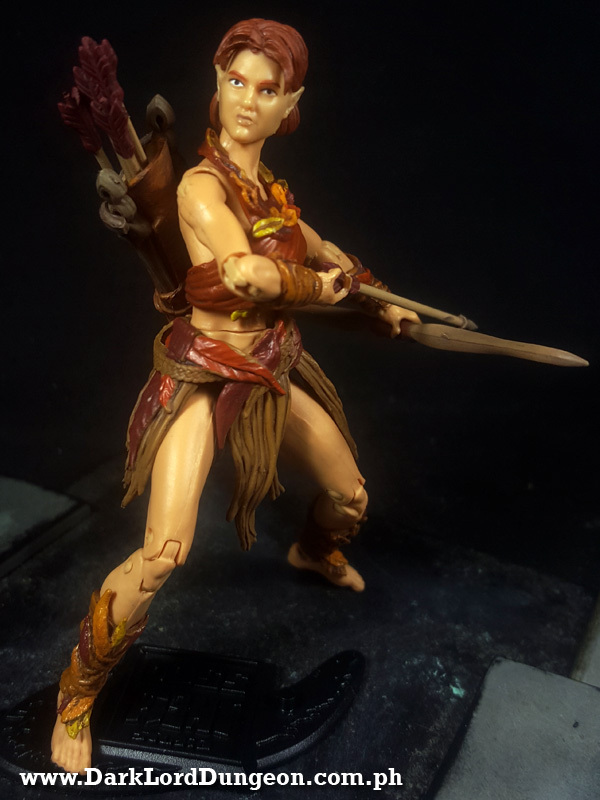 One dagger can actually be stored at the back of her loincloth but they're better off in the quiver. 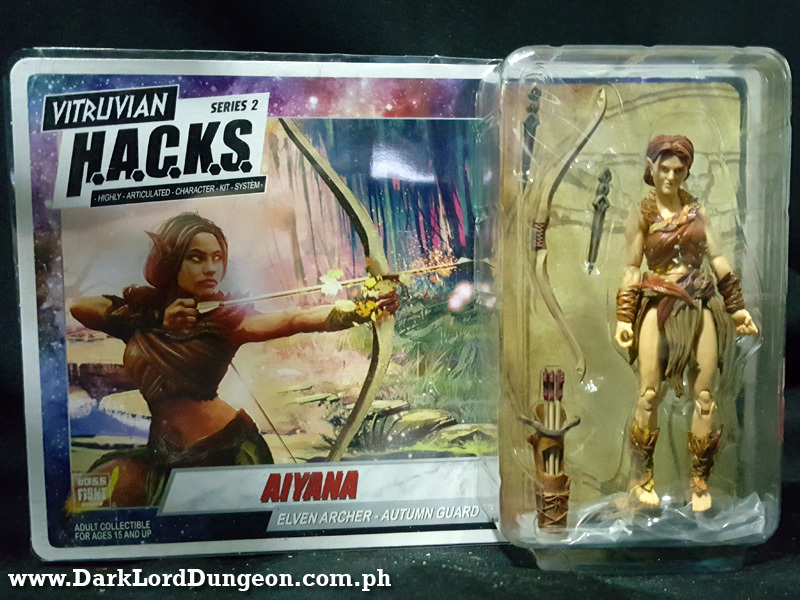 WHAT'S TO LIKE ABOUT THE VITRUVIAN HACKS AIYANA ELVEN ARCHER ACTION FIGURE? 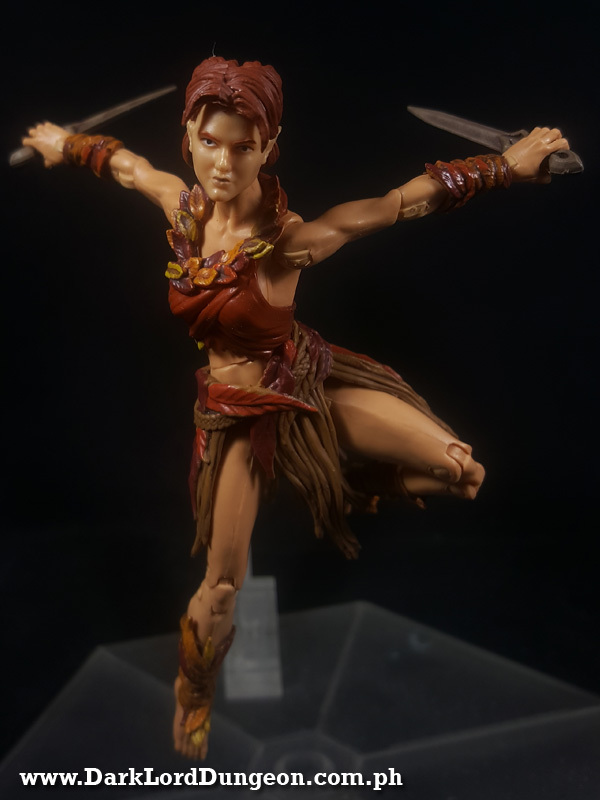 FIRST: Articulation is indeed excellent. Definitely comparable to a GI Joe action figure. Posing her through this shoot was a lot of fun and was quite easy to do - save for one major let down which we will discuss later. 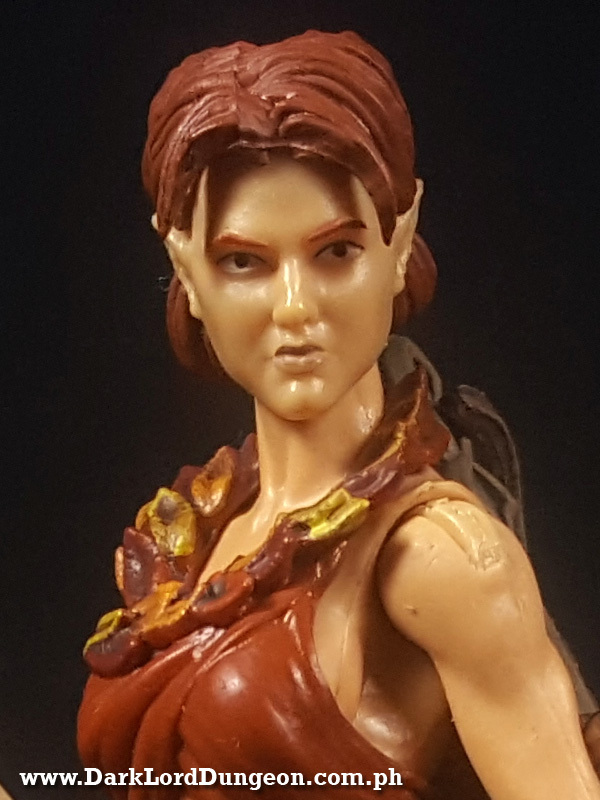 It also helps that SECOND: her facial sculpt is quite good. 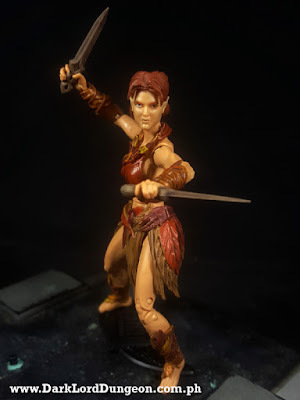 She's sharp, very elfin and definitely quite beautiful. Sadly unless we're customizing an army of elves, there's no real need for such a nice head thanks to her pointy ears. THIRD: We love her accessories. 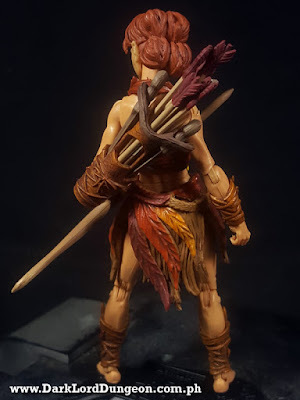 They are very nicely sculpted - they even included the notches for the strings on her bow in the event that you want to add it, and; her quiver and blades are simply immaculate. 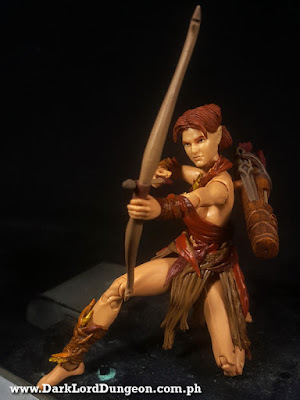 Autumn elves are, after all, supposed to be great with wood-working. FOURTH: Her outfit. 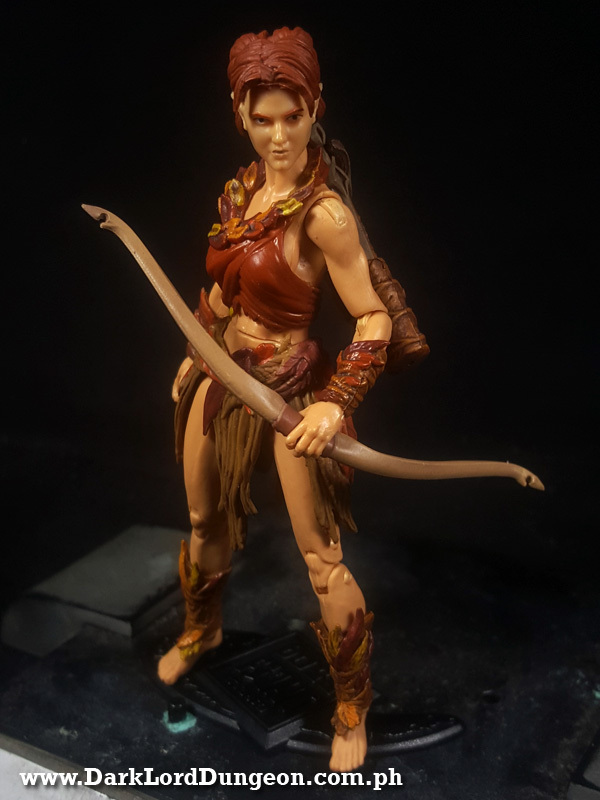 Yes you can technically remove her outfit, but it's not as bulky as removable clothing usually is - without being cloth, so that's a plus for us. All that is gold does not glitter.Not all those who wander are lost. There's no point in living if you can't feel alive. WHAT'S NOT TO LIKE ABOUT THE VITRUVIAN HACKS AIYANA ELVEN ARCHER ACTION FIGURE? FIRST: This particular action figure was lent to us because the owner wanted us to fix her right elbow. It would would simply not bend and when it does it would pop out. Personally we don't know if the elbow is supposed to pop out when stressed. Maybe. You can see the break in the photo to the right. We got it to bend by carving out the excess kibble in the joint. So quality control-wise, Vitruvian Hacks has a lot to work on. We weren't even completely happy with our work because we didn't have the right tool to really go in deep and fix the joint. Still. Nothing that cannot be fixed. 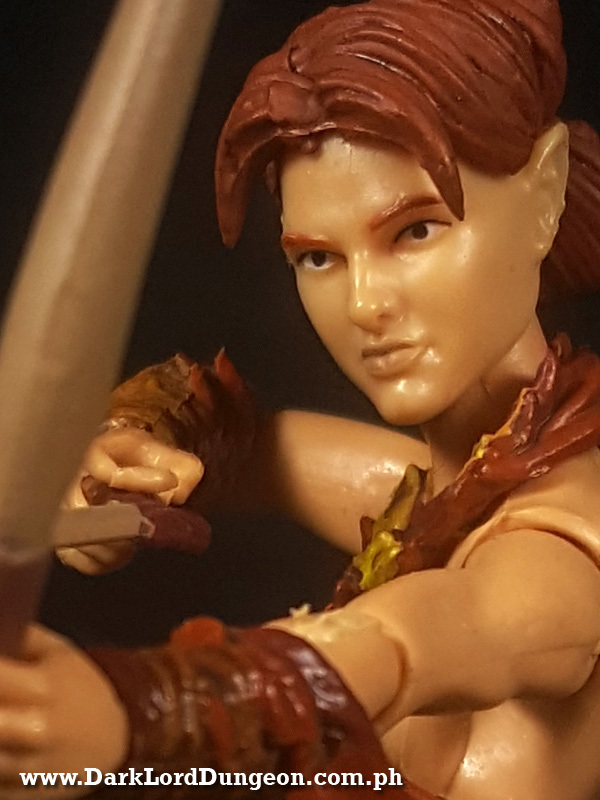 Still a great action figure. As of this writing Vitruvian HACKS Aiyana is not available in Amazon. 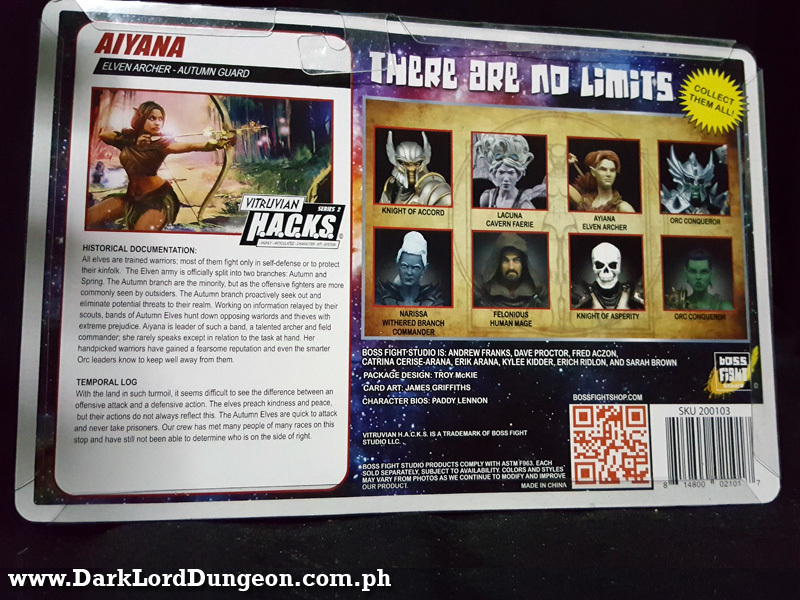 But other Vitruvian HACKS are available for around US$ 35 (Roughly PhP 1,820 plus shipping).